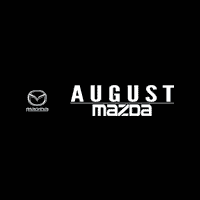 We are proud to say that since 1945 Kelowna Motors now know as August Mazda has been a family owned and operated business which has served drivers throughout the Central Okanagan. With the rich heritage of this family business behind us,we at August Mazda are honored to bring to you the Value,Emotion,and Engineering of Mazda. We would like to personally invite you to visit the August Mazda Club House and experience the kind of service our family takes pride in providing. New vehicle pricing includes all offers and incentives. Tax, Title and Tags not included in vehicle prices shown and must be paid by the purchaser. While great effort is made to ensure the accuracy of the information on this site, errors do occur so please verify information with a customer service rep. This is easily done by calling us at 250-762-2068 or by visiting us at the dealership.